In India, majority of the multiplexes which contribute a major share of film’s total collection, are built in malls. Once the mall construction has been halted by the developers due to the existing slowdown, the film industry also is affected. According to experts, Bollywood industry might have lost over 150 multiplex screens which would have generated more income to the industry. Bollywood needs more multiplexes to better revenue. The number of multiplex screens does play a vital role in the total collection of any movie. 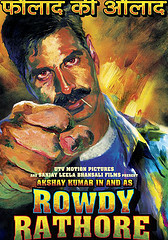 For instance, the average collection of both Rowdy Rathore and Barfi; two blockbusters of 2012; from each multiplex screen were Rs.5 lakh and Rs.6.5 lakh respectively. So if there were more Screens, the revenue would have grown more. These films would have earned over Crores of rupees even if they were given only a half or 60% of the total collection from these screens, said Disney UTV’s MD (Studios) Mr. Siddharth Roy Kapur. Delayed construction of malls is said to be a reason which prompted PVR to buy Cinemax with its 138 screens in 2012. With this deal, PVR emerged as the largest player in the industry. According to Mr. Pramod Arora, group president of PVR, the turn-over of the company would have increased if some 20 to 30 screens were added. It seems that the real estate builders are leaving mall projects to concentrate on residential development which offers better returns to them. However one thing is sure that the delayed mall projects affect Bollywood industry hard, though only indirectly. This entry was posted in Articles, Real Estate News and tagged Barfi, Bollywood, Bollywood blockbusters, Bollywood revenue, mall projects, Multiplex screes, Mumbai Real Estate, PVR, Real Estate Market, Rowdy Rathore by designer. Bookmark the permalink.